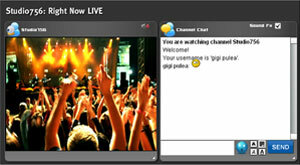 Broadcast live video from webcam, 100% web based, to multiple viewers. 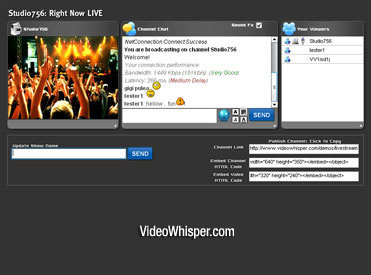 VideoWhisper Live Streaming provides web based live video streaming (from webcam or similar sources). Live Streaming contains an web based application to broadcast video with realtime configuration of resolution, framerate, bandwidth, audio rate and also allows discussing with video subscribers. The live broadcasting application also saves snapshots of current video as images for preview purposes and provides links and html code to publish channel and preview. Platform can also be used with external encoders (desktop, mobile or other sources). That includes Wirecast, Flash Media Live Encoder, Open Broadcaster Software, iOS GoCoder app, custom mobile apps that can be developed by Videowhisper, streams from IP cameras or other sources (based on Wowza restreaming capabilities). Test the multiple playback interfaces available (watch and discuss, only video, text chat, iOS transcoder for HLS playback on iPhone, iPad). If you just want to broadcast live video and embed it anywhere, without running your own service, register for free on VideoNow.live - Broadcast Live Video . You can broadcast directly from website or with applications like Adobe Flash Media Live Encoder, Wirecast, OBS, XSplit, mobile RTMP broadcasting apps like GoCoder iOS/Android app or 24/7 IP Cameras. Contact us for custom capabilities, features. PHP IP Camera Stream: Restream an IP camera to website pages (requires Wowza hosting). WordPress Plugin Most advanced: Easy to install on WordPress and build a turnkey live streaming site. Great in combination with Video Share VOD plugin. 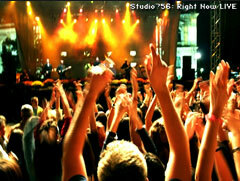 Drupal Live Streaming Module Channel setup and management for Drupal 7 and older Drupal 6. Drupal 7 edition includes PPV support. For all editions graphics and sounds are loaded from external PNG & MP3 files. Source code for all PHP files is included. Emoticons are listed in a XML file and loaded from external images. The video streams broadcasted with this application can be played with included web based applications (video watch and discuss/plain video stream) or with external players. In example, see how to play VideoWhisper streams with JW Player. JPG snapshots are saved for each channel depending on edition and settings. All live streams can be recorded as flv files for archiving purposes if enabled in RTMP application settings . In fact this can be done for all videowhisper streams. This is useful for verifying content type violation reports on sites where streaming is publicly available.